Methamphetamine, commonly referred to as meth, is a drug with the unique ability to impact well beyond the individual user. The manufacture and distribution of meth has been shown to cause significant damage to the environment; is hazardous to innocent children and others in close proximity to where it is being manufactured; can have a negative impact on the economy, crime rates and infrastructure of communities; and has proven to be a drain on vital resources. The drug poses a serious threat to law enforcement and emergency responders. In addition, users of meth are prone to violent and neglectful behaviors, and often inflict physical and psychological harm, not only on themselves but also on their children, families, neighbors, and members of their community. The drug too often causes a community’s children to live in extremely unsanitary and dangerous conditions and results in the children being neglected, abused and endangered. Methamphetamine poisons the environment. Meth produced in clandestine labs produces a large amount of toxic waste – waste that is poisonous to the environment and extremely costly to clean up. These costs are often borne by thecommunityor unsuspecting property owners and landlords. Most clandestine labs are found in rural cities and suburban residences. Meth labs can also find their way into barns, garages and other out-buildings, while others have been found in motel and hotel rooms, apartments, college dormitory rooms, storage facilities, and vacant buildings. They have also been found in the trunks of vehicles and inside vans and trucks. Meth labs are highly volatile and the possibility for fires and explosions is extremely high. Some of the chemicals used to produce meth in clandestine labs are chemical drain cleaners, alcohol and paint thinners, hydrochloric acid, antifreeze and over-the-counter cold medicines that contain ephedrine or pseudophedrine. Five or six pounds of toxic waste are produced for each pound of meth that is manufactured. Leftover chemicals and by-products are often poured down drains in plumbing, storm drains, or even directly onto the ground. These toxic substances can remain in the soil and groundwater for years. When the waste is not cleaned up properly, it can get into our drinking water, playgrounds, motel rooms and other public places. Boarded up, burnt-out former meth labs can negatively affect property values in the surrounding neighborhood. Where there is meth, there is crime. TheNational Association of Countiesconducted a survey of 500 law enforcement agencies in 45statesand found a majority reported meth as the number one problem drug. An even larger majority reported meth to be the driving force behind the increase in various types of crime including spousal and child abuse, robberies, burglaries, and assaults. Additionally, identity theft has become closely associated with meth users. Meth is clearly a significant threat toeveryone in a community, and it is up to the members of communities impacted by meth—concerned citizens, elected officials, business leaders and parents—to come together with law enforcement and foster a climate of ZERO TOLERANCE for meth in their communities. So what can you, as law enforcement officials, do to help stop meth from harming your citizens, community and agency? The first step is to educate yourselves and your communities about the dangers of clandestine meth labs and negative effects of meth on a community. It is also important to be familiar with the signs of meth use and indicators of production including strong chemical smells like ammonia or cat urine; excess trash, including quantities of fuel cans and red-stained coffee filters; lots of traffic in and out of a home at unusual hours; and blacked out windows or shades that are constantly drawn. As part of itsPACT360 (Police and Communities Together) program, which is funded by a grant from theU.S. Department of Justice, The Partnership atDrugfree.orghas developedMeth360– a comprehensive strategy designed to educate community members, young adults, parents, and families about the dangers of meth, and to encourage the family and friends of those struggling with meth addiction to help loved ones seek treatment. Meth360 aims to enhance the ability of state and local law enforcement agencies to deal with meth in their communities through increased awareness and community education. The program consists of prevention presentations that are co-delivered by teams of law enforcement and substance abuse treatment professionals who speak to parent groups, schools workplaces, healthcare organizations, civic organizations and others. The audience learns about all aspects of meth from experts with diverse perspectives on the issue – a true “360-degree” view of the harmful effects meth can have on communities. The Meth360 presentation is divided into six educational topic areas: Meth Facts, How Meth Affects Users, Impact on Communities, Families and Prevention, Intervention and Treatment, and Communities and Prevention. Supplemented with video features, including public service announcements from The Partnership at Drugfree.org and real-life testimonies from former meth users, the presentation is designed to be customized by the presenters to reflect local issues and needs. All audience members receive a meth information kit and a comprehensive list of local and national meth information resources. The program is tailored to equip a community’s law enforcement unit with a simple but powerful tool through which to learn about the dangers of meth, and to easily spread that message to all community members and concerned citizens, so that everyone can play a role in preventing the damaging effects of meth from taking a toll on their community. Meth360 was pilot-tested in four states – New York, Oklahoma, Virginia and Washington – after which presentations to the public began in 2006. The Partnership at Drugfree.org trained 170 law enforcement, treatment, and prevention professionals to present the program within their communities. Within nine months, 192 presentations were delivered, reaching more than 7,500 people. Response to the Meth360 program has been extremely positive. When surveyed, audience members, community coordinators, and presenters all agree that the Meth360 program is a powerful tool that enhances a community’s ability to raise awareness of the dangers associated with meth use. After viewing Meth360, 94% of audience members said that the program taught them more than they already knew. Eighty seven percent felt inspired to take action as a result of the facts they learned. Parents360(Parents: You Matter) is designed to help parents and other caring adults understand, prevent, and address drug and alcohol issues. The multimedia presentation “Parents: You Matter” educates parents of teens about why teens use drugs/alcohol, what parents can do to protect their children, how to communicate with them, monitor their activities, spot drug/alcohol use, and what actions parents should take if they find their teen is using. Like other PACT360 programs. Parents360 is designed to be co-delivered by a range of presenters from law enforcement, prevention, and treatment professionals to educators and healthcare professionals. The presentation is similar to Meth360 in that it contains several videos, including public service announcements from The Partnership at Drugfree.org, first-person stories and information from experts. Drug-specific educational modules allow presenters to customize the program to local needs, offering parents critical information about the risks. Youth360(wreckED) is a teen-oriented substance abuse prevention education program that teaches teens (15-19 years old) about the realities and consequences of substance use. The program encourages teens to think more introspectively about their own and their friends’ behavior regarding alcohol/drugs, and to consider the associated consequences of getting involved. The program also motivates them to be proactive in “looking out” for their friends, who may be engaging in unhealthy behaviors. Youth360starts out with a video depicting all aspects of the contemporary drug and alcohol scene that is part of teen life today, and includes real-life stories of addiction and recovery from the A&E Network program series Intervention. Following the video, the facilitator leads a group discussion using individual observations of scenarios depicted in the video as conversation starters. A special wreckED interactive card game, designed to stimulate conversations, focuses on the issues presented in the video, simulating real life choices, behaviors and consequences. While the video sets up the bigger picture regarding alcohol and other drug use, the card game personalizes the choices, behaviors and resulting consequences, giving the teens the opportunity to play out scenarios from their own experiences and viewpoints. The teen website,Check Yourselffrom The Partnership at Drugfree.org, supports wreckED with all of the tools and resources available online. Latino360(A través Del Cristal Meth) brings Meth360 to the Hispanic community with a presentation specifically tailored to reflect the unique needs of the Spanish-speaking community in the U.S. This program encourages parents and other concerned adults to educate themselves about the dangers of meth, and provides them with tools and resources to help them protect their children from this dangerous drug. All resources and tools can be found on the PACT360 site andwww.hablacontushijos.org. This presentation not only highlights the devastating effects of crystal meth on the individual and community, but also underscores the need for parents to further educate themselves about the dangers of the drug and encourages them to start talking to teens about the dangers. The program combines personal stories of Hispanic teens in recovery with testimonials from their parents, and focuses on the real impact meth use has on a family. The teens address the physical consequences and emotional damage they experienced from meth use, and how their families were essential in their recovery. Padres360(Padres: Ustedes Hacen la Diferencia!) brings Parents360 to Hispanic parents, and is designed to help them understand, prevent, and address drug and alcohol issues with their teens. This multimedia presentation was specifically designed to educate Hispanic parents of teens about why kids use drugs/alcohol, what parents can do to protect their children, how to communicate with them, monitor their activities, spot drug/alcohol use, and what they should do when they find it. All resources and tools can be found on the PACT360 site andwww.hablacontushijos.org. Since the launch of PACT360 in 2006, more than 44,000 audience members have viewed the presentations, nearly 2,300 people have been trained to deliver the program in their communities, and a total of 1,175 presentations have been delivered. 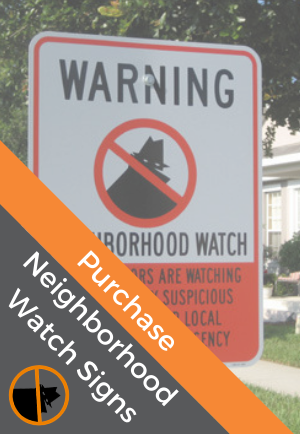 The Meth360 and Parents360 programs have been integrated into the NSA USAonWatch- Neighborhood Watch toolkit and training. You are welcome to advatage of the wonderful resources offered at thePACT360website. 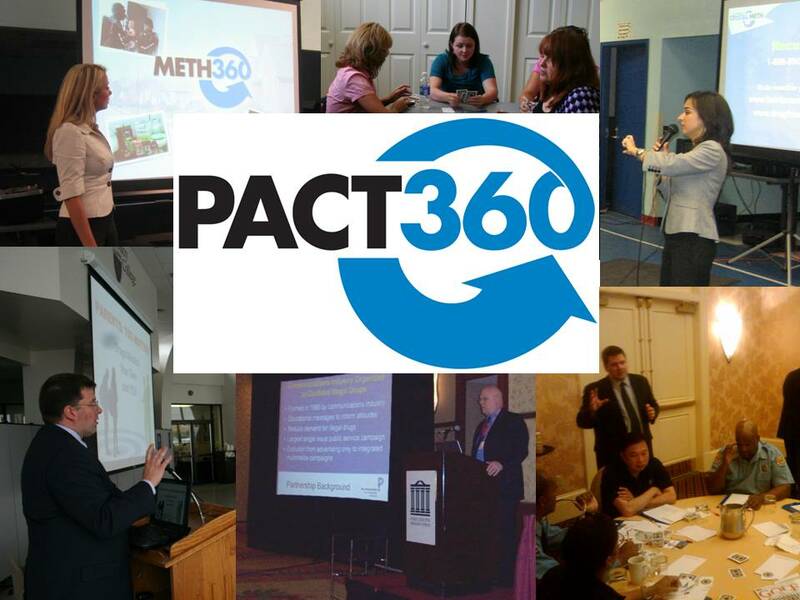 To learn more about Meth360 or the full suite of PACT360 programs, including how to bring the program to your community,visit PACT360 online, email pact360@drugfree.org or contact your local law enforcement agency or Neighborhood Watch coordinator.